Messy Church continues to go from strength to strength! We are looking forward (God willing) to our second baptism of 2013 in a few weeks time. Sunday services are well attended, with the children's Sunday club enjoying a good number of children, many who come to Church of their own choice. Earlier this year we were involved in Christianity Explored with Largo Baptist Church (five miles along the coast), our second baptism is a direct result of this venture. God willing we are considering running Christianity Explored either autumn of this year or spring of 2014. The last 12 months have been interesting in the Church in terms of outreach. During October 2011 we began Messy Church, with the help of a team from the USA. Messy Church is proving very popular with both adults and children alike. It takes place on the last Tuesday of the month, being part of Tuesday Club, and is largely a biblically themed night, based around arts, crafts and games, with food and lots of fun. The evening ends (just prior to food) with a talk based on that evenings theme. Messy Church is a breath of fresh air, and brings people in the Church together working as a team, it also is an opportunity for the parents and grandparents of the children to get involved in practical ways, as well as joining in with the fun. Winter 2012 will also see us put out 1000 calendars around the district, having taken a rest from this last year. The calendars have proven very popular and provide a wonderful opportunity to get God's Word into many homes. Watch this space for more news. We had the great joy over the summer months of getting around many doors in the 'bird scheme' in Buckhaven. 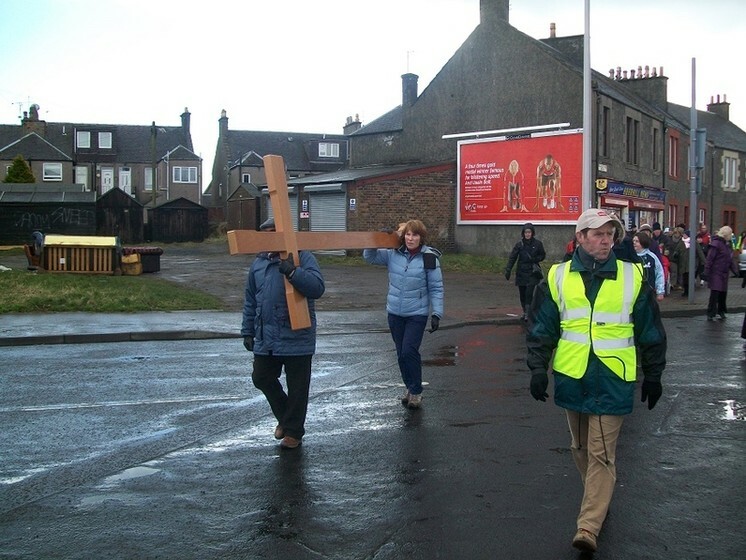 This is helpful in many ways, not only is it an opportunity to remind people of the various organisations and services on week by week at the church, but it also an opportunity to build on the work of the 2000 calendars put out at the end of 2009, with another 2000 going out again this year! Members of the door team have being going out once a month since we started earlier in the year. There has been a mixed response on the doors, with a large amount of apathy from those spoken to. However, there have also been significant and valuable contacts as well. A degree of flexibility is required in order to maximise the number of people that are likely to be in, i.e., not getting locked into a certain day or time of day. With this in mind we will be going out for the final time this year in Oct on a Saturday morning. The door work will then recommence in the Spring of 2010 (our centenary year). Thank you for your ongoing prayers.